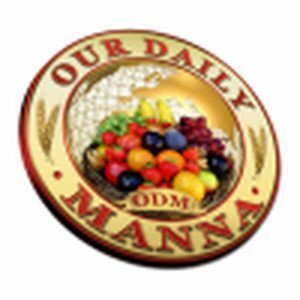 ODM Daily Devotional For Today 25th April 2018: TOPIC: I REFUSE EMERGENCY DEATH! TOPIC: I REFUSE EMERGENCY DEATH! But that is changing rapidly for better. While the United Nations continue to release reports of caution and fear, you must listen to what the “covenant of long life” says concerning you and your family this year. Heb 9:27 proclaims: “it is appointed for a man to die but once…” Notice that it did not say, “It is appointed for a man to be killed but once.” So refuse to be killed by armed robbers, laziness (not exercising), sickness, HIV (immorality), accidents, hired assassins or manipulation such as witches and wizards, etc. yes! This is the covenant of long life. Death in old age with satisfaction! Remind God daily of this word (covenant of long life) in this year 2018. Stand in gap for your loved ones using the same covenant! You will not struggle in the valley of life again! Yow will not die before your time! You cannot be touched and you cannot be killed! Your life/ministry is too hot for satan this year! But stay within the hedge! Watch! Avoid sin! READ Our Daily Manna 2 February, 2019 - THE TOILETS WERE TOO DIRTY! CAN HE USE YOU? 2. I shall not be killed by (mention anything) before my God-appointed time in Jesus name (pray it seriously).